October 1889: Thousands of children across England and Scotland walk out in a wave of strikes which sweep the UK against corporal punishment and excessive workloads. September 1911: A further wave of pupil walkouts spreads across the UK and Ireland as thousands of children in at least 62 towns and cities take to the streets for shorter hours and no corporal punishment. 1 April 1914-1939: Nearly all pupils at the Burston school in Norfolk, England walk out when their socialist teachers were sacked and instead set up rival school funded by workers' movement. 27 May 1971: 800 pupils at a school in Stepney, east London, walk out and win reinstatement of a teacher sacked for publishing a book of pupils' poetry. 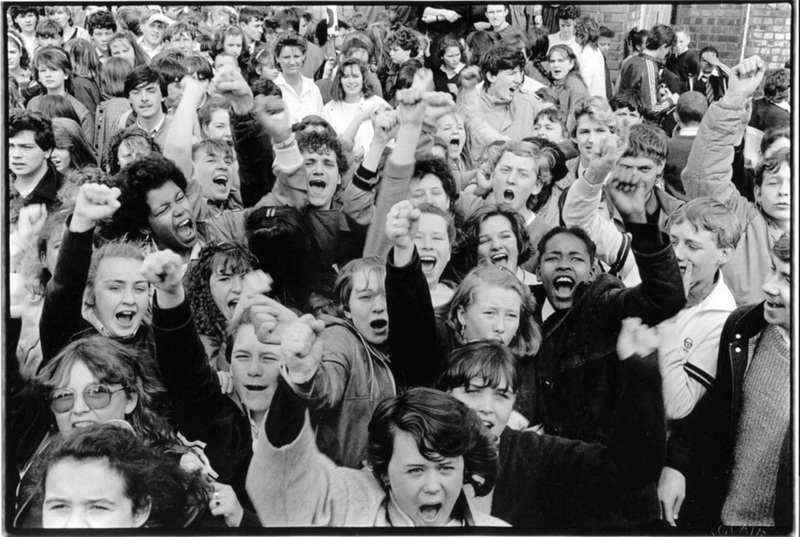 25 April 1985: 250,000 school students across the UK strike against YTS workfare program. Thousands of children across the UK leave classes and take to the streets to protest against the invasion of Iraq that day. October-November 2010: Over 100,000 schoolchildren join with university students in walking out of classes and marching against government cuts to education. If you are aware of any more please let me know in the comments below so I can add them in (or edit them in directly if you are an editor: but please make sure you have a credible source). 4. Sources: Pupils plan strike to stop London school being turned into an academy - retrieved on 19/10/2015, School students strike against academy plan at Crown Woods College in Eltham - retrieved on 20/10/2015. On this day in 1978 the Hackney and Tower Hamlets Defence Committee organised a day long strike against racist attacks, which brought Tower Hamlets to a standstill. They were joined by 400 pupils from the predominantly British Asian Robert Montefiore school in protest against the racist violence in and around their school.